We love stuff being reused, particularly vehicles that would normally be crushed into meaningless metal once retired. Watch out for this wonderful concept, a revamped oil tanker truck turned into a full-fledged kitchen on wheels! 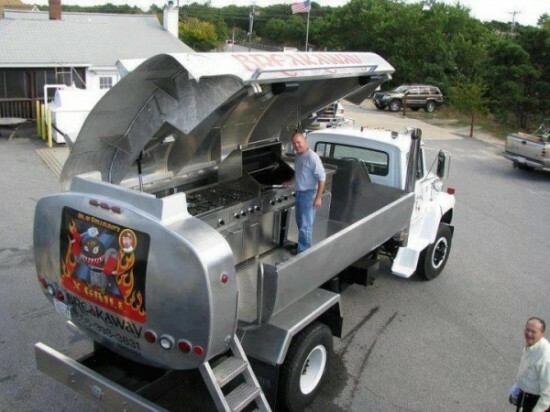 The truck, called the “X Grill”, is the brainchild of Ken Foster, the owner of the Hall Oil and the Breakaway grill store in South Dennis. This mobile kitchen-on-wheels is a complete stainless-steel kitchen. With a 42-inch grill and gas-fired burners included, the X Grill is also available on hire and will be alternatively used to aide nonprofit fundraising events. How Do I Choose the Right Granite Worktops?